From a food safety point of view, any animal that can be consumed by humans is a food producing animal and the regulations for food producing animals should be adhered to. Since wild animals that are being rehabilitated and released back into the wild, could potentially be consumed by humans, there are drugs that are legal to use as long as stipulations set forth by AMDUCA are met. However, there are also drugs that have restrictions or are illegal to use in food producing animals. Click here to find a comprehensive list of prohibited & restricted food animal drugs. An indexed animal drug is a drug on FDA’s Index of Legally Marketed Unapproved New Animal Drugs for Minor Species, referred to as “the Index.” The Index is a list of new animal drugs intended for use in minor species that have had their safety and effectiveness confirmed through an alternate FDA review procedure. In several cases, minor species drug products are intended for uses that cannot reasonably go through the standard drug approval process. They are often intended for use in rare or varied species that cannot participate in traditional safety and effectiveness studies. 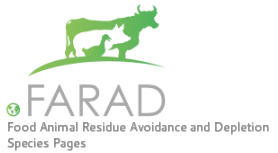 An alternative to the drug approval process, indexing provides a faster and less expensive process to obtain legal marketing status for eligible products needed for treating non-food producing minor species and non-food early life stages of food producing minor species. The Index is helpful to individuals treating animals or classes of animals representing markets too small to support the costs of the drug approval process. Although technically unapproved, a drug listed on the Index has legal marketing status. It can be legally marketed for a specific use in certain minor species.